I just finished cleaning out my refridgerator and unfortunately had to throw out quite a bit of unused produce. Here are some guidelines on how long produce should last if stored properly. 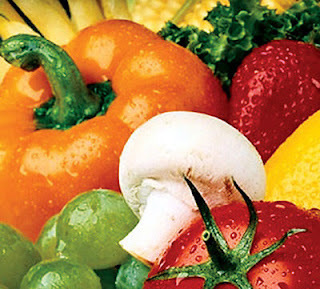 Raw fruits are safe at room temperature, but after ripening, will mold and rot quickly. For best quality, store ripe fruit in the refrigerator or prepare and freeze.This chart assumes that you are buying your fruit in a retail store. Shelf life will increase dramatically if you are able to buy your produce directly from the source. For example, assuming you have the proper storage area and are able to buy your apples during harvest, than they will easily last for 6 month or longer.